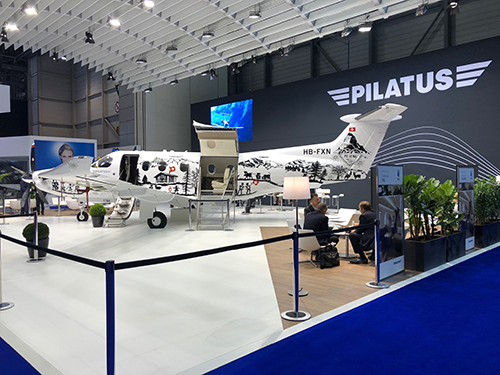 Skytech representatives are on-site at EBACE in Geneva, Switzerland to see the latest announcements for business aviation. 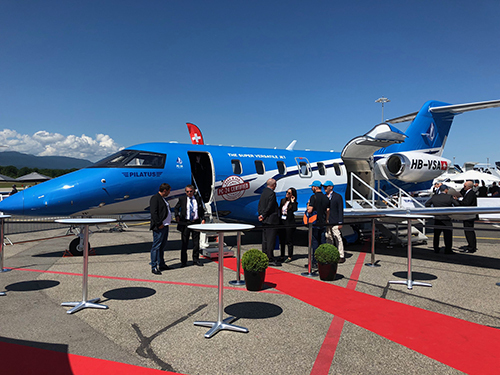 Dave Conover, Skytech’s Executive Vice President, took advantage of the visit to execute the CrystalCare support program for Skytech’s first Pilatus PC-24 – which is nearing completion at the factory in Stans, Switzerland. Ignaz Gretener, Pilatus Aircraft Ltd V.P. 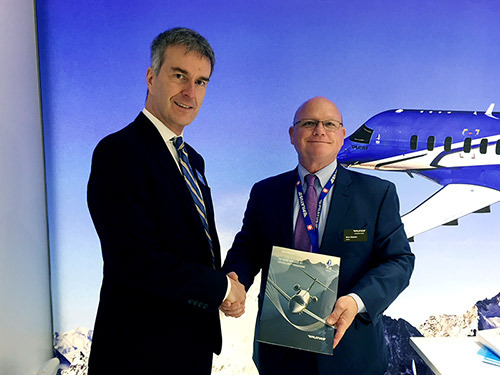 of General Aviation, was on-hand for the signing of the contract. This entry was posted on Wednesday, May 30th, 2018 at 2:27 pm. Both comments and pings are currently closed.